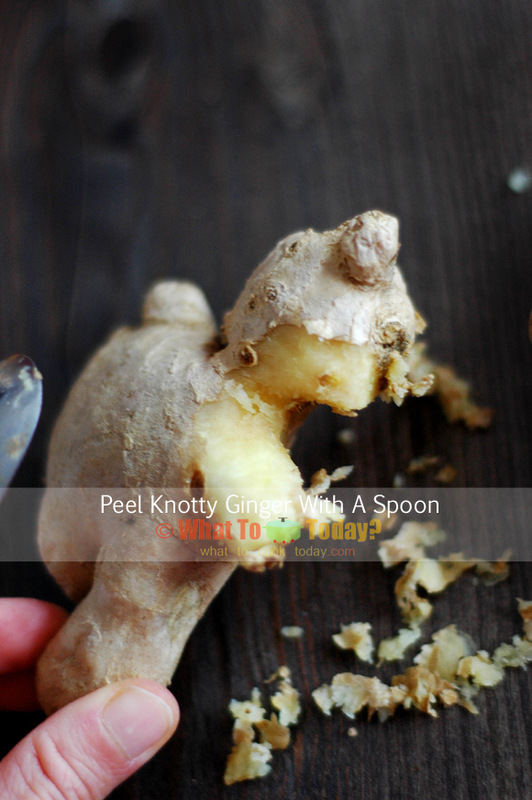 If you ever get a hold of a fresh ginger root with skin still attached, you know that the root can be quite knotty (irregular shapes) most of the times. 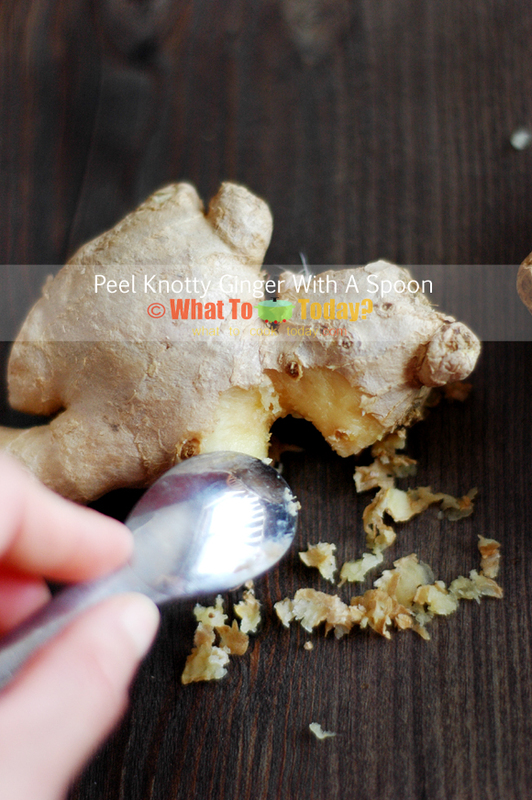 Trying to peel the skin of a knotty ginger root using a vegetable peeler is quite frustrating (at least to me) and honestly speaking, almost impossible. 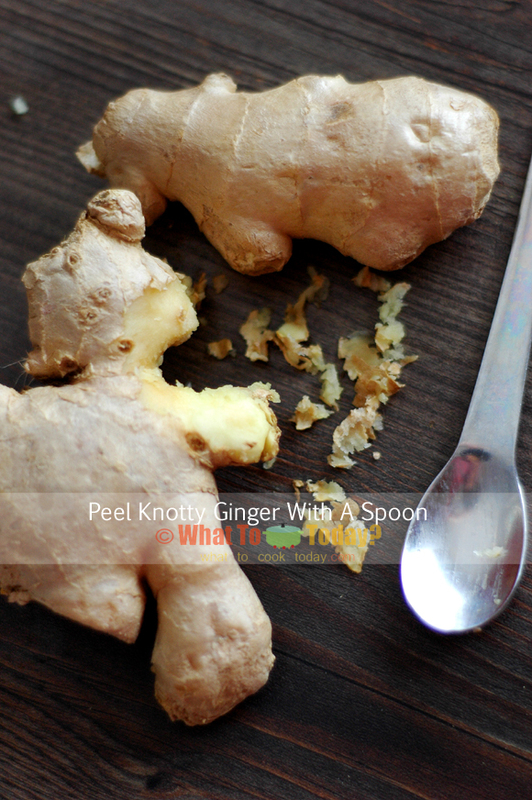 I can hardly get the skin off the ginger and ended up have to cut them into smaller pieces and then peel it off and it’s harder when you have to peel small pieces.